My daughter was born at 32 weeks and 2 days after my 8 days' stay at the hospital due to water bag rupture. 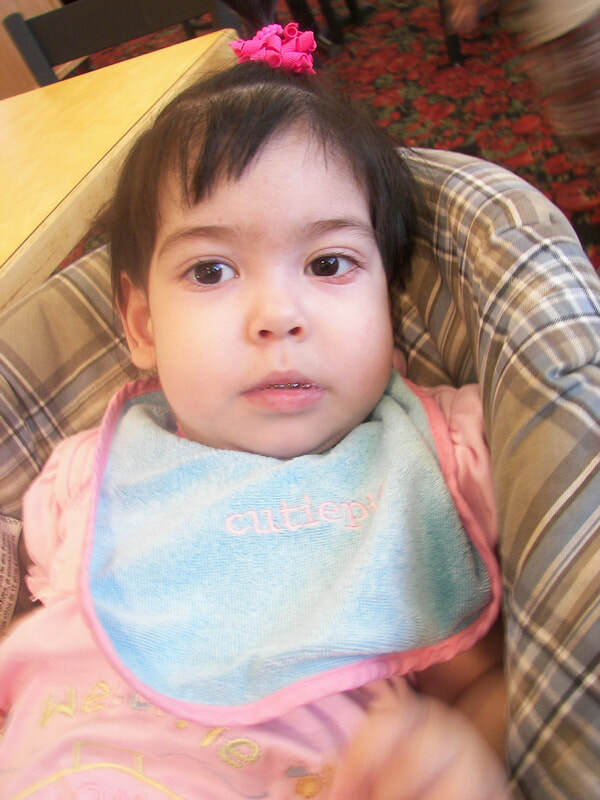 She was born healthy with no signs of any illness. I was not tested for GBS. She stayed in the hospital for 3 weeks because of prematurity. She came home just to be admitted again after a week for GBS. She was treated for it and is now cleared from it. Now she is 2 1/2 years old. She is developmentally delayed. She cannot sit on her own and cannot crawl or stand. She gets therapies every week. She is very attached to me. You can say I am her whole world. If I am not in her sight she will cry like anything. She likes kids and loves it when her older brother monkeys around in front of her. Samira is still looking for ways to educate people about GBS.